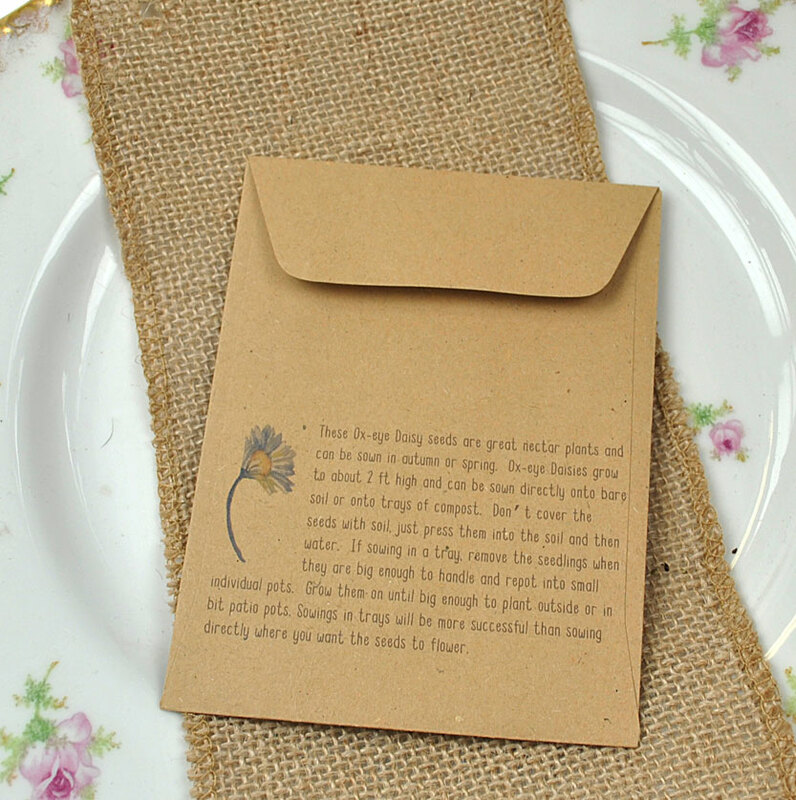 Tags: autumn, bee seeds, butterfly seeds, Ox-eye Daisy seeds, seed packet favours, wildflower seeds, winter. 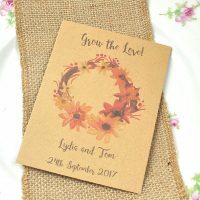 Although this is a seed packet wedding favour with an autumnal theme, it could still be relevant all year round! 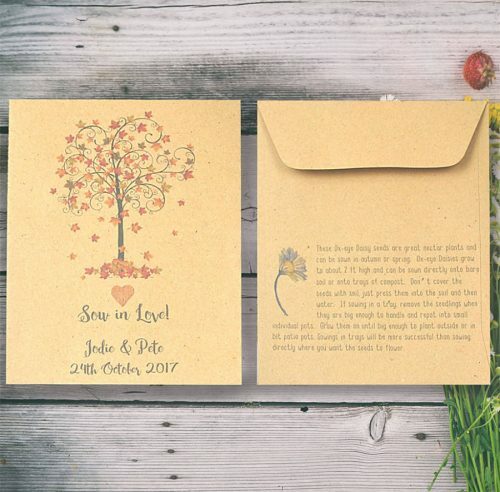 The colours in this autumn wedding favour are so evocative of the season and the beautiful Ox-eye Daisy seeds inside are perfect for sowing in the autumn to flower the following summer. 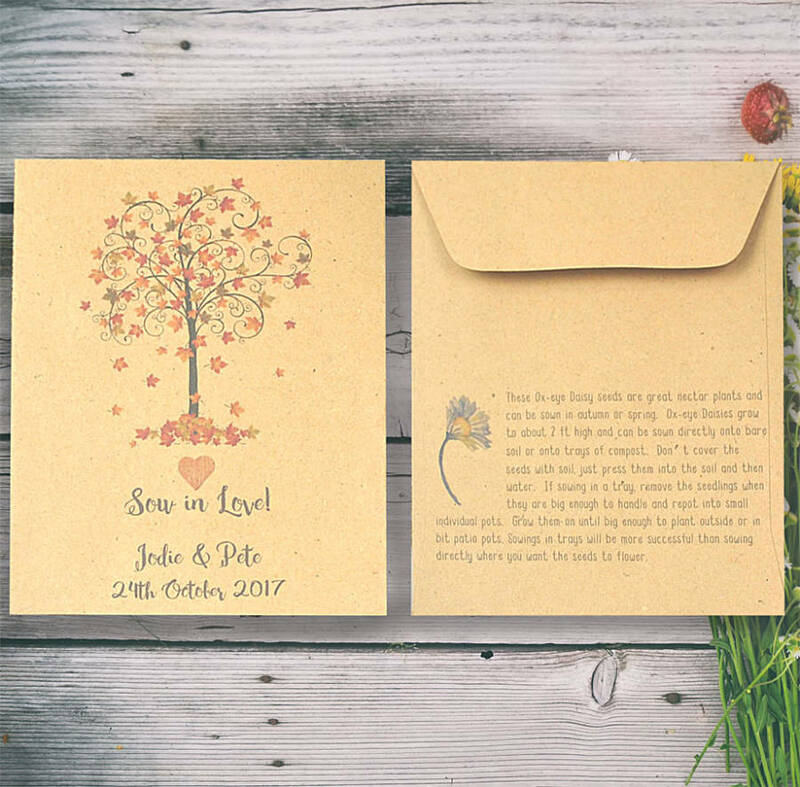 The seed packet is recycled and personalised with your wedding details – please provide these in the box above. 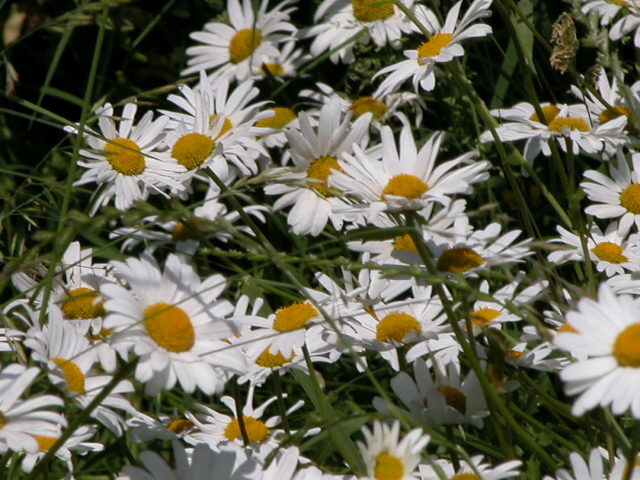 Ox-eye Daisy is a native British wildflower species and the seeds have been grown in the UK. 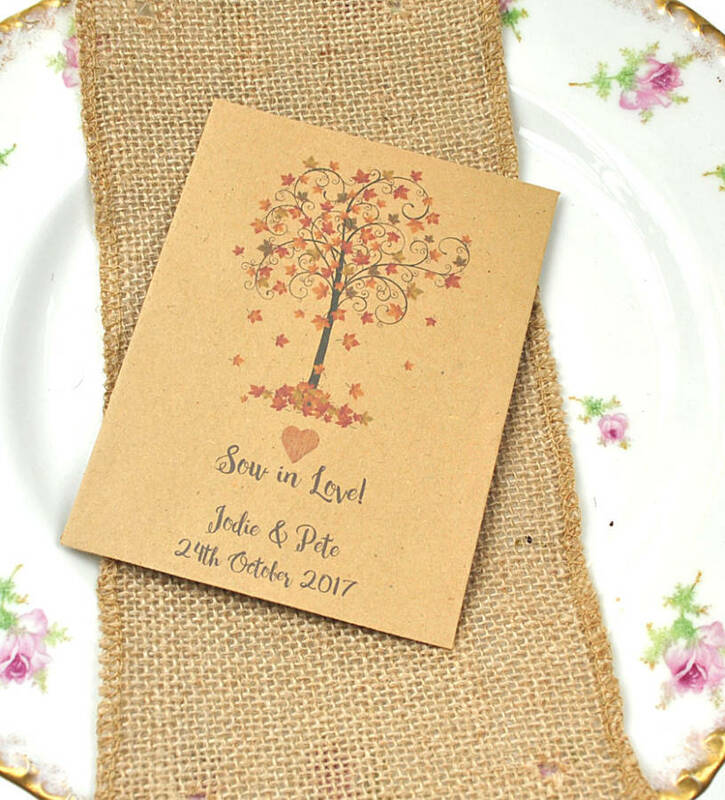 The reverse of the packet contains the sowing instructions. You will get around half a gram of seeds which equates to 1000 or so seeds. Ox-eye Daisies germinate very well so your guests will have more than enough! 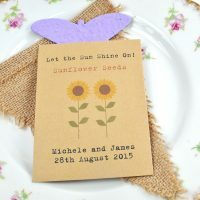 Simply scatter the seeds onto bare, weed-free soil in a sunny part of the garden, press them into the soil and water. Or sow the seeds onto pots of compost , press in and water. 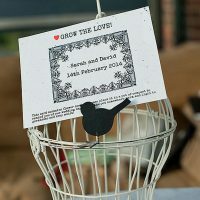 Place the pots somewhere light to germinate and when the seedlings are big enough to handle, transplant them to individual pots to grow on until big enough to plant in the garden. Ox-eye Daisies are really just big daisies! They grow to a height of around 2 ft and flower for ages – from May to October, sometimes even later. They are a good nectar plant for insects. They were also used hundreds of years ago as herbs with medicinal properties for various ailments.